Dressing up your phone has never been so ecstatic! Check out the new themes added at the beginning of this post. None of us truly love our iPhones as it is. It always needs a little bit of tweaking to outlive being eloquent. To accomplish that, one needs for their iPhone to be jailbroken– which is a process of unlocking the device’s internal abilities, breaking out of the whimsical chains concocted by Apple. 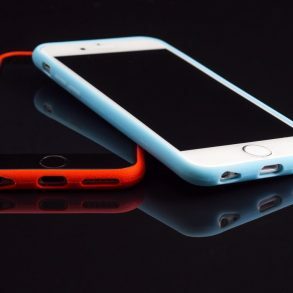 But, what could you anyways do to make your iPhone look exceptional? Theming is an option, an exquisite one. 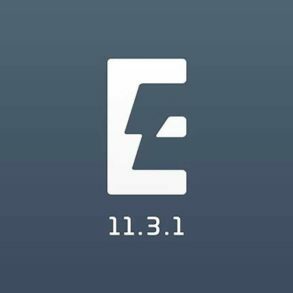 And after the launch of the official iOS 11 Electra jailbreak, a lot of themes have kind of ‘unleashed’ for users to install who were anticipating for this moment since the first beta of the Electra jailbreak popped out. 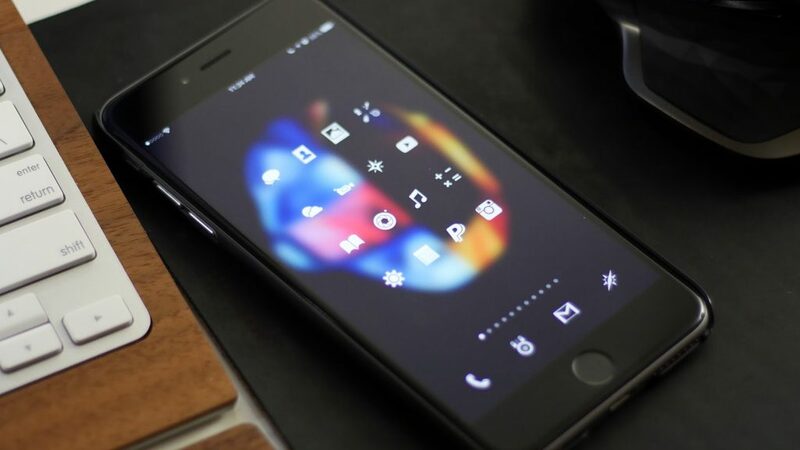 So here are the best Cydia jailbreak themes for iOS 11 that you can install on your iPhone, iPod, and iPad. These Cydia themes will make your iPhones, iPads, and iPods look as if they weren’t at all devices made by Apple. But before we begin, if you don’t, you must know how to install a theme, provided that you are already jailbroken. Although, if you know; you can skip to the list by clicking the button below. 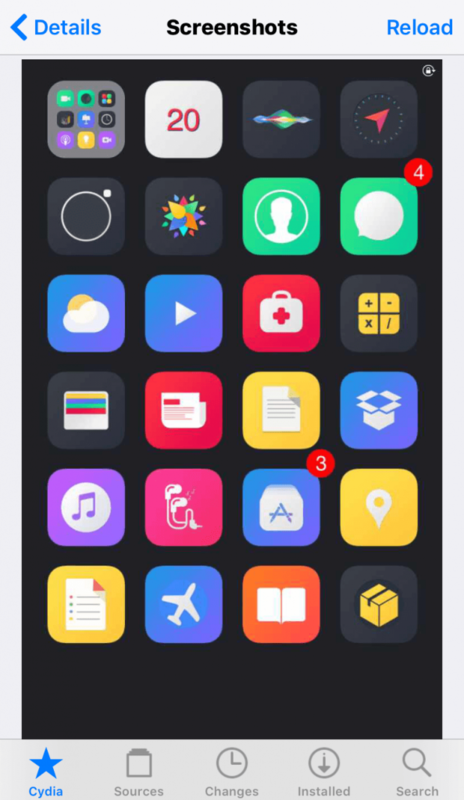 Anemone is a mandatory prerequisite for installing themes on iOS 11. Though, this wasn’t the case during the iOS 9 jailbreak times as the premier theming tool at that allotment was Winterboard. Installing a theme using Cydia is genuinely a child’s play. However, applying that theme could be a bit tricky for beginners. Search for a theme and install it. Open Anemone from the Springboard. The theme that you just downloaded will be listed right there. Tap on it and select the components of the themes that you would like to apply to your iPhone. Tap on Apply to both the panels. Your theme will be installed. Additionally, if you have any queries related to this post, let me know in the comments below. Echo has icons with slight gradients. It doesn’t do much in terms of customizing the icons; but few, in this case, seems perfect. The icons seem a little bit like a mix of Google’s Play icons and Apple’s gradient icons. Overall, it’s a really good theme. Only problem with Echo is that notification badges look dislocated. It could be because of incorrect resizing of icons by the author. OffWhite’s icons are a bit… well, offwhite! It only completely re-imagines a few icons but adds a faded shade to the rest. If you were to create a theme and get this look in the process; you’d just have to add a linear white gradient at the top of the icons. Even though a faded look is not what you might want to go for theoretically; this theme nails it. You will want it. If I were you, I wouldn’t name this theme Insight. It’s not insightful. But it sure is the cutest theme you could slap on your iPhone. And it’s one of the best things that has happened to jailbreaking. 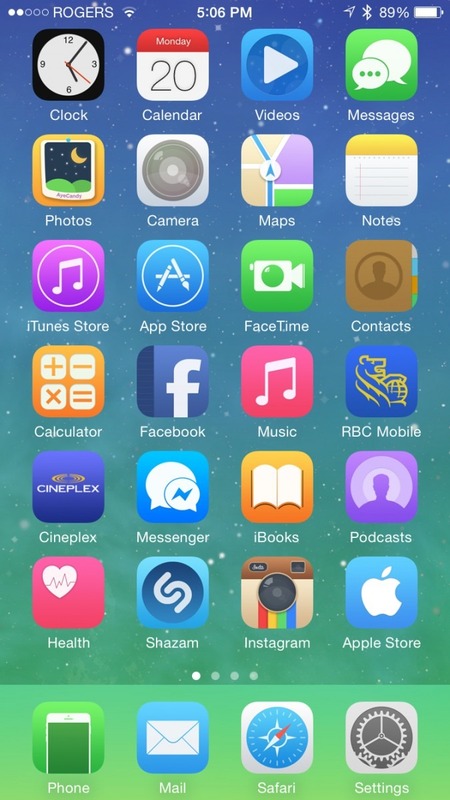 Pretty much every icon is redesigned. The elements in the icons are accurately placed in the middle to leave some white space all around. It is a rule of thumb in design that you should leave more white space and not fill up everything with content. This theme, thankfully, elevates the effect of that rule. 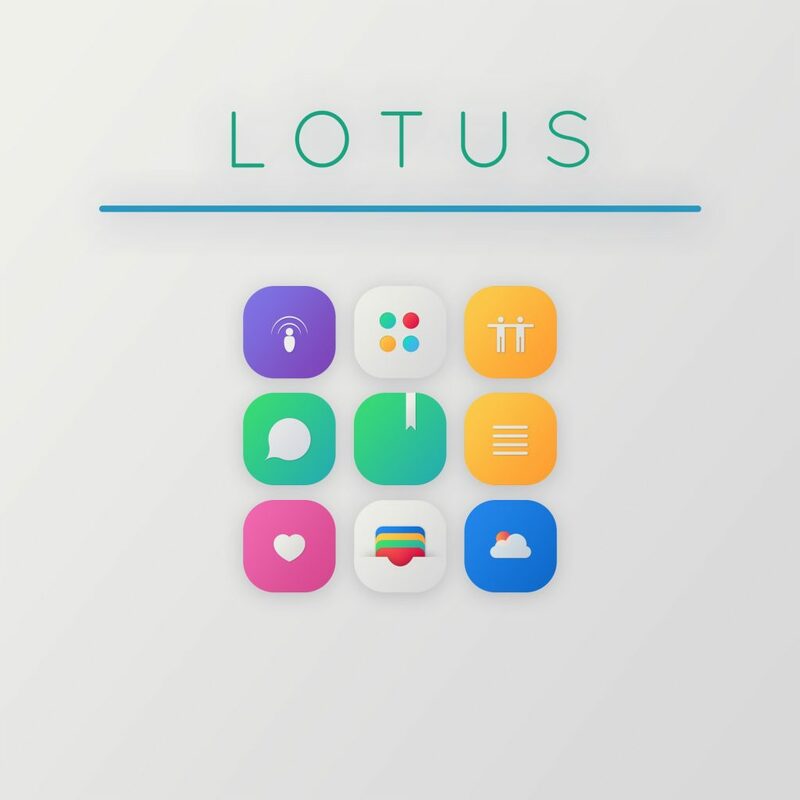 In this list of the best jailbreak themes, Lotus is one of the most culminating. 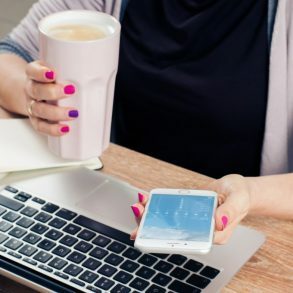 It’s being applied to iOS devices for a long time now and has assuredly gained a spot on people’s minds. It’s by far the best Cydia theme. Well, why not? 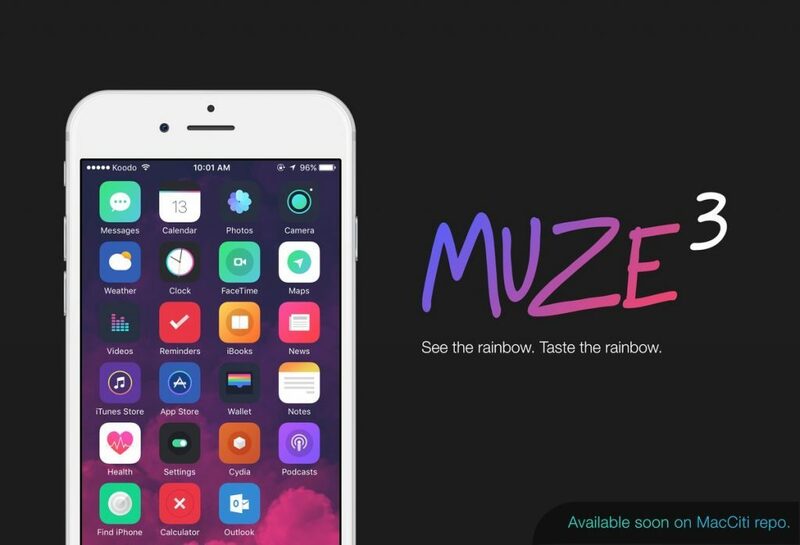 It has a mesmerizing set of gradient-filled icons. An added layer of depth makes things more intriguing. Not to mention the uniqueness of the way its icons are designed. Having this theme active on your iPhone frames an extra level of charisma that truly is eye-catching. I hate to say this but Oyster has some of the cutest looking icons of all the themes available. The colors on the icons are splendidly faded which accord an eye-soothing getup when looked upon the screen from a distance. As a matter of fact, these icons are collectively designed by users as a substitute to the developer. 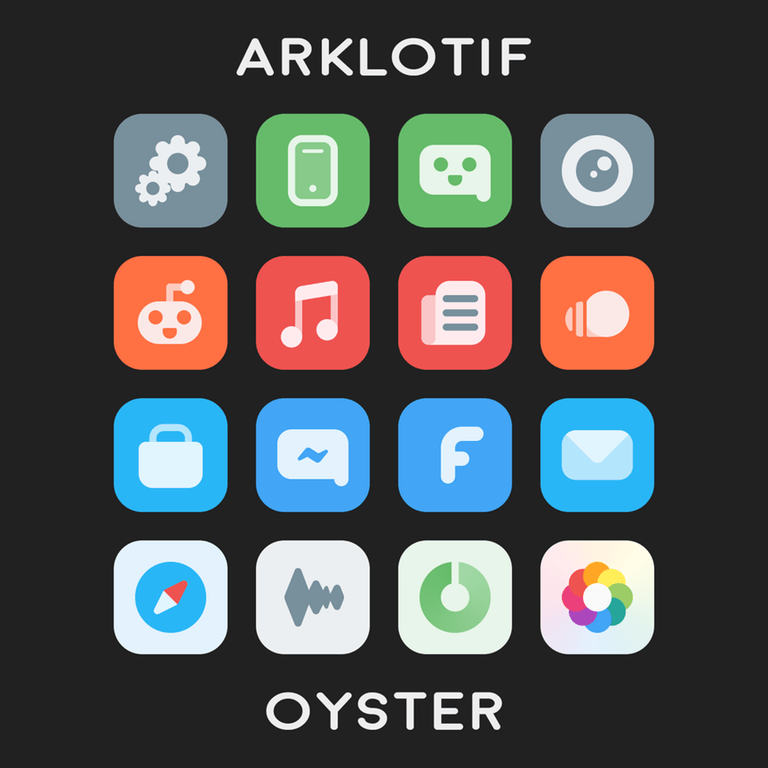 This is because ArkLotif, the original developer was facing some difficulties working with the usual palette. So he open-sourced the theme and provided it to the community for free. Mint 2 is the second monotony of the original Mint theme. The prime peculiarity of this theme lies in the retro architecture of its icons. The cherishable aspect of this theme is its ability to be old-school as well as modern, both at the same moment. This can be substantiated by contemplating the camera icon. Can you spot it though? Let me know its position in the comments down below. “See the rainbow. Taste the rainbow- ” this is what the theme’s punch line is. Uh, not too great, unlike the theme itself. The correct word to describe this theme would be- Luxurious. And that is because Muse 3 has its own eccentricity that evokes a sense of mitigation in one’s pupils. It feels like a theme for riches. The developer of this theme has used gradients extensively for scheming icons. And the best part is that icons are not fiddled with immensely, rather just tweaked a little bit so that you can remember which icon is which. 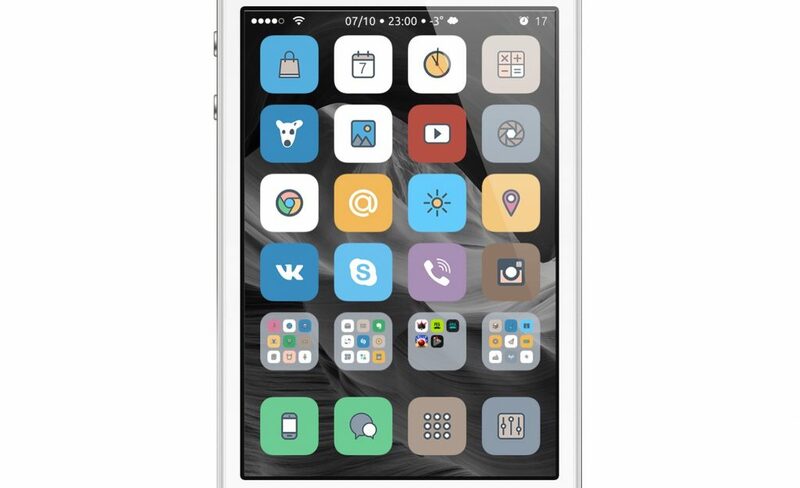 In this list of some of the best jailbreak themes, Minimal iOS theme is the simplest. Looking at the theme, a ‘just acquainted’ iOS user would not know if it’s a theme or stock iOS itself. That being said, the Minimal iOS 11 theme just masks the icons to make them a tad bit rounder than usual. And only a spattering amount of icons are tweaked as the theme struggles to live up to its name. This is why it gains the title of the simplest theme in this list. And even with all of its simplistic downsides, it’s a theme worth giving a shot. You can check out this theme here. Amury is the theme that goes shoulder-to-shoulder with Lotus- the first theme in this list. And the thing that makes them common is the fact that they’ve been in the scene for a while now. If you are a fervent themer, you might have come across this theme once in your lifetime. 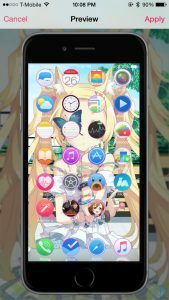 With vibrantly colored icons, slightly tweaked to prove their singularity, this theme is an all-time favorite for a lot of users. Personally, I have a special place for the phone app icon in my heart. A simple theme with slightly tweaked icons, Onix is another one giving a shot at simplicity. Though its icons are vaguely designed, they look reasonably familiar. And the exclusive facet of this theme is the extra amount of depth supplemented to the icons. Apart from the chronic paraphernalia, Onix packs in more than 600 icons, not to mention the standalone control center and the settings theme. UI elements are also an extra godsend. Don’t get too excited as this is not an iOS device running iOS 6 or something. It’s an iPhone on iOS 11 compassing the Classic iOS theme. Well, it seems palpable. Top 10 Electra jailbreak tweaks that’re way too much fun! That’s the beauty of the Classic iOS theme. It supports more than a hundred icons so that it does not feel as if you are dangling between modern iOS and the older nostalgic one. 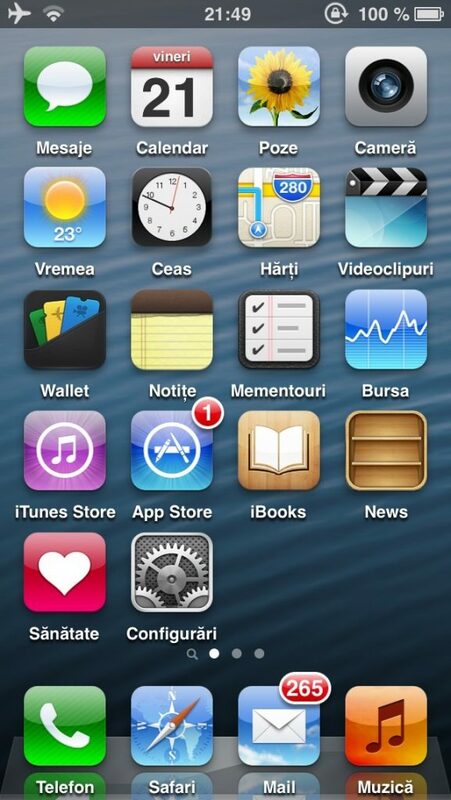 Although, the best part about this theme is that it also offers to modify the status bar, the respring logo, the classic UI sounds, the classic labels, and the classic icons for the settings app to match the iOS 6 habiliment. Ever wanted that El Capitan look on your iPhone? 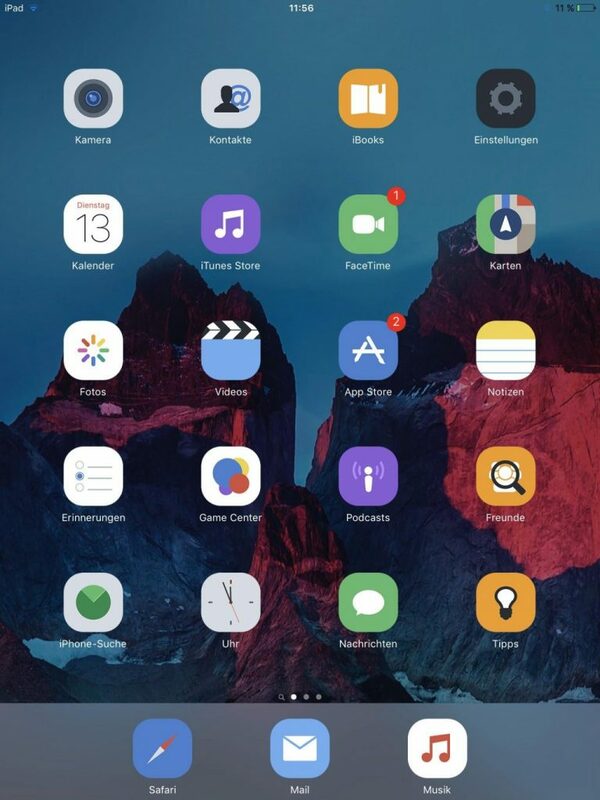 You can get it by installing the Ace El Capitan theme for iOS 11. 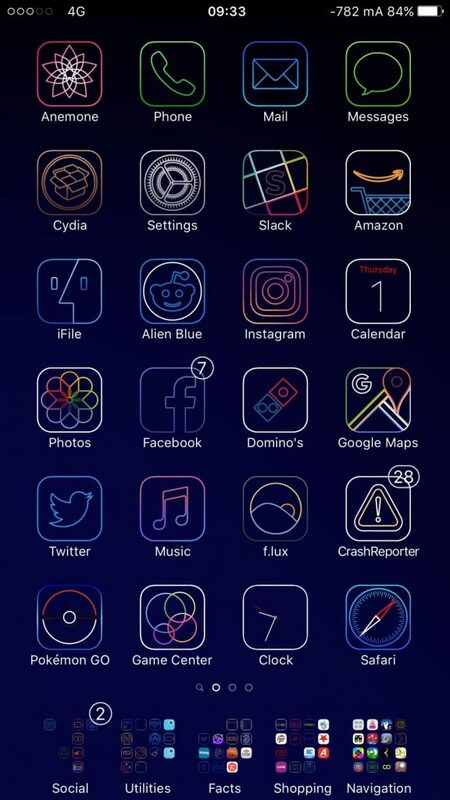 This is by far the best Electra jailbreak theme that I’ve come through. Why? Because it’s ambidextrous and relatively impeccable. It has circular masking on all of its icons, which is the signature design of icons on Macs. The white border makes the icons appear in an apple-pie order. Although, the theme emerges best on the springboard if you use a tweak to clean up your status bar. Additionally, setting an official El Capitan wallpaper will only augment the attire. 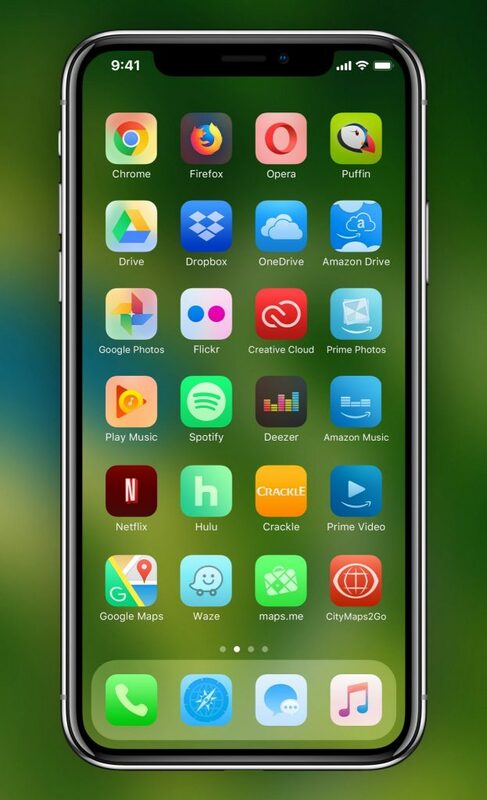 Stencil lives up to its name by literally forming stencils of app icons on the home screen. It has iridescent icons that look good on any iPhone, preferably the black variants. Personally, I’m not a fan of these kinds of themes but it’s worth giving a shot if you are. Although, there are two renditions of this theme- the regular one pictured above and the other ‘outline-less’ version. 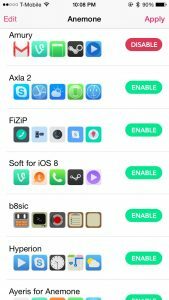 Depending on which version you choose, you get a different set of app badges, page dots, status bars and even activity spinners. Judging from this, you can say that this theme is ‘jam-packed’ with surprises. Mojito is just as impressive and fluid as the real beverage. Its icons have been given an EMUI look, but fare much better and are less shiny. Well, the less shiny aspect makes it a good theme after all. On the other hand, if you take a closer look; observe it closely, you’ll notice that it still has a regular iOS 11 aurae in its icons. But, little tweaks here and there make it different. “AyeCandy is what the title suggests, it’s true eye candy-” says the Cydia description page for the theme. You can get it from the MacCiti repo from Cydia. If you’re a jailbreaker, there’s a unique way for you to attain salvation. And it is by installing Salvation itself. I know that I didn’t make sense in the sentence above, but it’s kinda true. 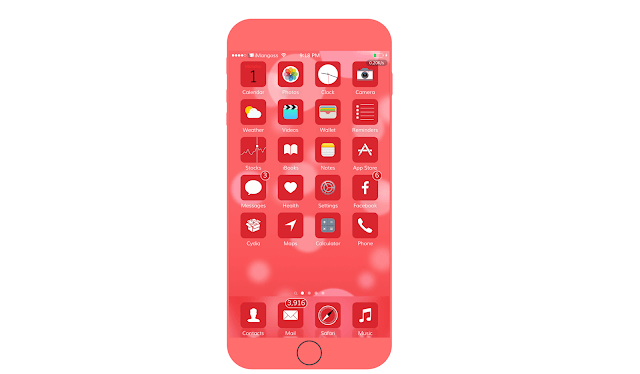 If you are a red-color freak, you’ll love this theme which doesn’t change much when it comes to customizing icons, but still does a hell of a job giving them a fresh personality. Simply put, Salvation is just a theme where the icons are dyed red. That’s it! You can get Salvation from the ZodTTD and MacCiti repo. CandyCane is a Christmas theme. Though, it’s kind of dark and pale for a theme. But, if you are someone that often roots for dark themes, and it’s Christmas- It’s your day. Lastly, a theme for people who love black. There is a lot of demand for a dark mode in almost every aspect of an OS these days. But, it is through jailbreak you can truly achieve a complete dark mode. But, even with every dark mode tweak applied, you won’t find a tweak to make your app icons dark. Well, with this theme, you can get that look. Let’s limit this post to this point as you can never get enough of those crispy themes. The first part of this post subsumed of just 8 themes. A lot of you guys requested for a second part. So here it was. I hope you enjoy these themes as much as I enjoyed sharing them with you. How to install tweaks on RootlessJB right now on iOS 12. 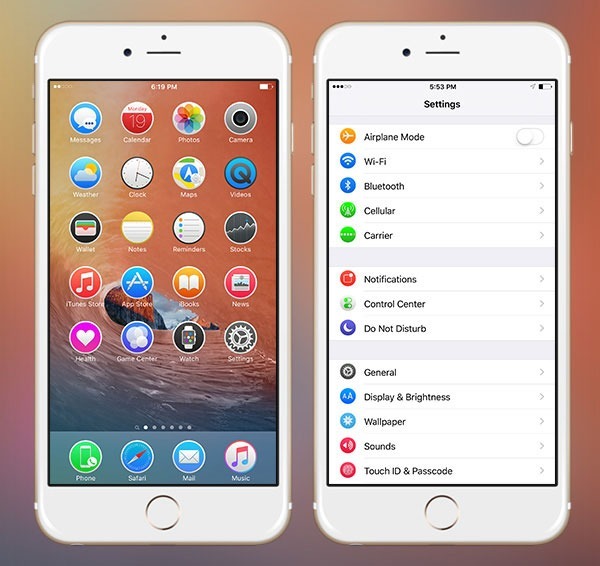 The BEST Jailbreak tweaks compatible with iOS 9, 10, and 11! Why do you feel the desire to update to a stable version after spending some time with your jailbreak? which theme is the one pictured in the articles heading!? It’s ‘Enlightened iOS 8’. 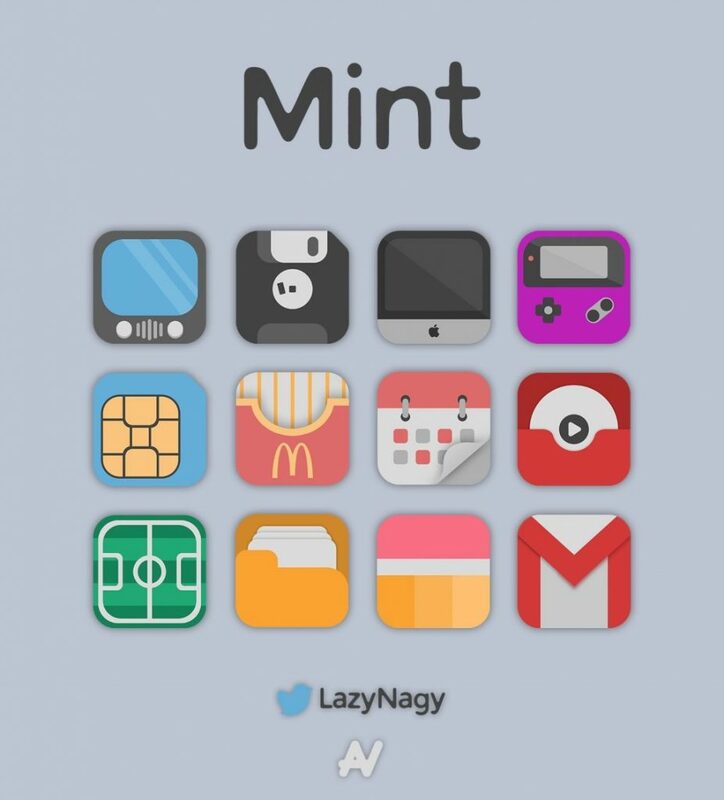 Although, it’s a winter board theme and probably isn’t compatible with anemone. As of this post, it is used as a placebo featured image so that none of the themes featured inside would kill the suspense if set as a featured image. I hahve problems everytime I install anemone, it crashes my jailbrake and i have to do it all over agian. This only happens if I install anemone. It pretty frustrating because I really want to change the theme on my phone. Well, try to remove anemone and reinstall it using proper sources from Cydia. It is available on the official Electra repo. 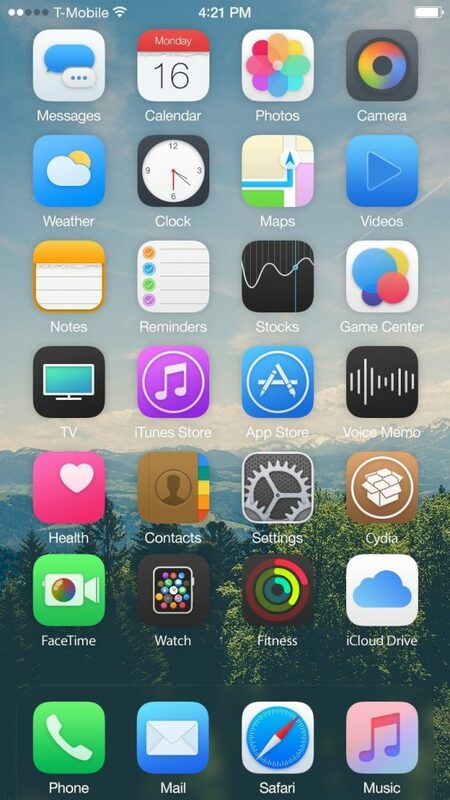 Well, try to remove anemone and reinstall it using proper sources from Cydia. It is available on the official Electra repo. If it doesnt fix the problem, try to restart your phone and install anemone again. I’ve added some new themes. Sorry for the delay! Thanks for reading.